Every Thursday at least 400 Erasmus and local students meet in Bergamo for Aperasmus, an Italian happy hour with a lot of free food, party and many interesting talks. 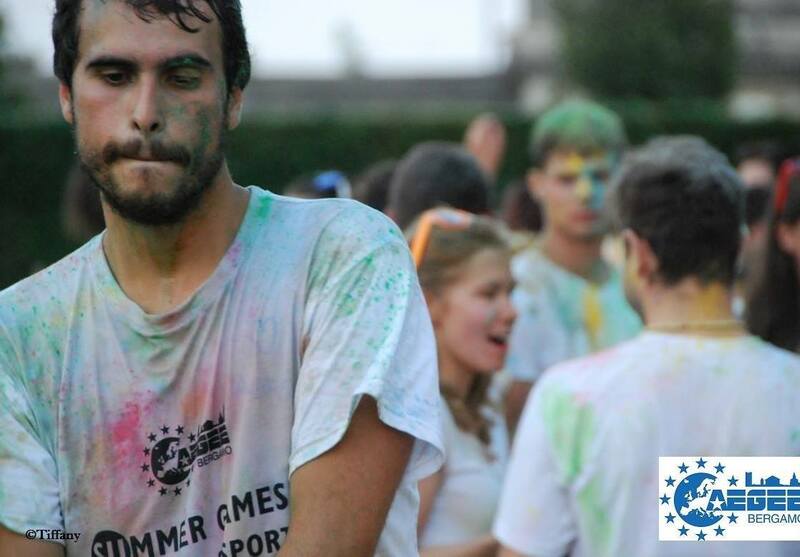 “It is our most popular activity for Erasmus students”, says Michele Bezzi, Erasmus coordinator of AEGEE-Bergamo. The association is the biggest supporter of Erasmus students in the picturesque Northern Italian town. AEGEE-Bergamo helps the foreign students finding accommodation, supports them in the jungle of Italian bureaucracy, organises parties, excursions, searches language partners for them and much more. You are Erasmus coordinator of your antenna. What do you like about this task? Michele Bezzi: I love that we can help and make the Erasmus students happy while they live in our city. We know we are doing something special that will stay in their hearts and basically we are helping our friends. How did you get this task? Michele: I got this task, because my antenna saw that I’m among the members that are really keen on speaking other languages and being friendly to everyone. What are the main services or activities that AEGEE-Bergamo offers to Erasmus students? Michele: Thanks to a well-established programme created years ago by Mauro Cattaneo and Paolo Ghisleni, we start our programme with two welcome aperitivo, a guided tour of the city and a the closing party of the welcome week. An aperitivo is an Italian happy hour with a lot of free food. We repeat this programme in the second semester, just adding the international dinner. Then during the semesters we organize at least two city tours to Rome, Milan, Turin or other places, some sports days, a lot of special parties, once a week an Aperasmus – which is an aperitivo with Erasmus students – and two trips to the Alps where we stay for the weekend. Which is them is the most popular Erasmus activity of AEGEE-Bergamo? Michele: The first and unique Aperasmus, which brings every Thursday night at least 400 people. Basically it’s a typical Italian aperitivo with a lot of free food that starts at 9 PM and ends at 2 AM with a DJ set and a dancefloor where everyone dances. And the other activity we do is the trip to the mountains where at least 50% of the foreign students attend. We rent a hotel for two nights and we enjoy the weekend between forests and snow – during the winter edition in the second semester. We eat a lot of traditional food there and of course party hard during the night! Is AEGEE the biggest supporter of Erasmus students in your city? Michele: Yes, we are the biggest supporters of the Erasmus students in Bergamo and I’m really happy that Erasmus students are always thankful to us. All the friendships we have are the proof of our sincerity and honesty. How do you approach your task as Erasmus coordinator? Michele: I have two approaches to do those tasks: formal and Informal. The formal one is when I have to communicate to all the Erasmus and foreign students about the upcoming events on Facebook and through emails, I have to make sure that the events are being organized on time, checking that everything is right and sometimes helping Nicolò Sartoris, our event manager, in the organization. This year we also added an extra service: we open our office for two days a week in order to provide any kind of help right at the university. I also have to deal with the international relations office and the accommodation service of the university in order to solve any kind of the students’ problems. The informal task is all about PR with the foreign students, since after few weeks it is really easy to make friends and my work becomes easier on the communication field. How many Erasmus students are actually studying in your city? Michele: This year we had around 140 Erasmus students and in the second semester another 50 students that took over the place of some of the first semester’s students. AEGEE-Bergamo is welcoming the new Erasmus students in autumn 2014. How attractive do you consider your city as Erasmus destination on a scale from 0 (very bad) to 10 (excellent)? Michele: I would give 7 for the university and for the name of the city and 10 for the beautiful people of AEGEE that are really amazing. Any advice for students who consider going on Erasmus in your city? Michele: Just come here with no preconceptions, enjoy all the seasons, because every season is a treasure in Bergamo – and be smart enough to make Italian friends in order to see and discover every hidden pearl of our region. Did you go on Erasmus yourself? Michele: No, because I always had finance problems. I wasn’t poor enough to get an Italian scholarship and wasn’t rich enough to pay all the expenses during the Erasmus. That’s why I felt kind of guilty and last year I went for eight months to live in Malta to work and studying for the Italian exams. 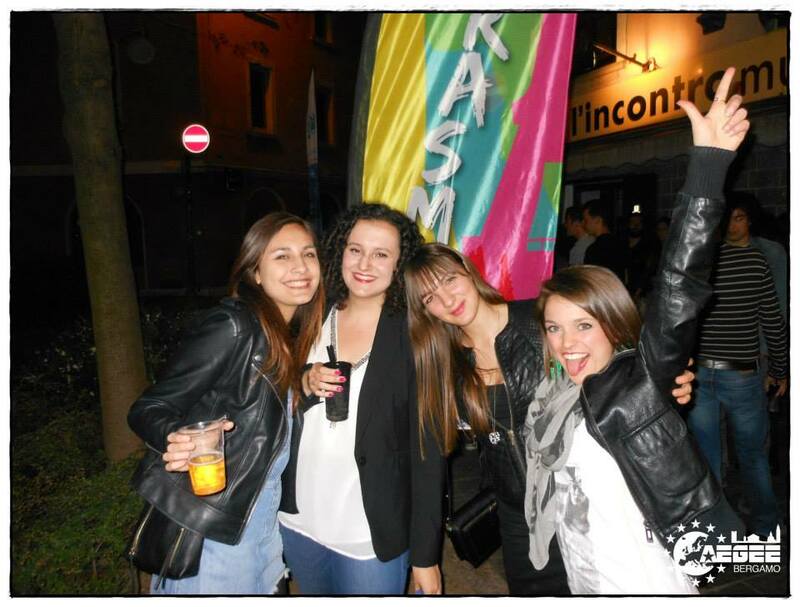 Ther weekly Aperasmus is the most popular Erasmus activity of AEGEE-Bergamo. Often they have different themes. How time consuming is your task as Erasmus Coordinator? Michele: Depends on the months. For instance right now is maybe two hours every week to check any kind of info for the next year, to set the programme of the next year and listing all the tasks and schedules for the next Erasmus responsible. How big is your AEGEE Erasmus team? Michele: Right now we are around 15, because in the second semester Gianluca Fenili, the secretary, suggested to create specific working groups for our activities. So we created the Erasmus Working Group where every member could join that wanted to help in any way. How is the Erasmus cooperation of AEGEE with the university? Michele: We provide assistance to the accommodation service and to the international relations office to help the Erasmus students to sort out problems as fast as we can, because accommodation and bureaucratic issues are really annoying for them. The university writes us when they need any kind of support which can be for example guided tours for international projects or problems regarding the hosting of the students. We have also created the Tandem Project website for the University of Bergamo. Every students of the university can register to it, choose the native language and find a person that speaks on the respective level of knowledge and has his or her interests! The system finds the perfect match and proposes a list of students with whom the students can have conversations to improve the desired language! Since when is your antenna actually supporting Erasmus students? Michele: Since the year 2009/10 when Mauro Cattaneo and Paolo Ghisleni decided to renew AEGEE-Bergamo after their experience abroad as Erasmus students. How can new Erasmus students in your city contact you? Michele: They can contact us through Facebook: www.facebook.com/aegee.bergamo, by e-mail to info@aegeebergamo.eu – or directly the Erasmus responsible at erasmus@aegeebergamo.eu.